In this intensive, we will explore your character and go in deep to find a way to make the voice reflect who they are on the page. This will be a generative workshop involving writing exercises and sharing from the group. Come with a character in mind and a willingness to write on the spot. We will explore the promise of a gripping first page and how the opening of your novel can hook a reader and also illuminate your story’s ending. This intensive will include critiquing and some writing on the spot. Whew… that’s a lot. Wish me luck. And consider signing up for one of my sessions if you’re going to the conference! To those who are looking at the dates of the conference and may be curious: I’m taking the Summer/Fall 2017 semester off from teaching at Vermont College of Fine Arts to focus on my book contracts. 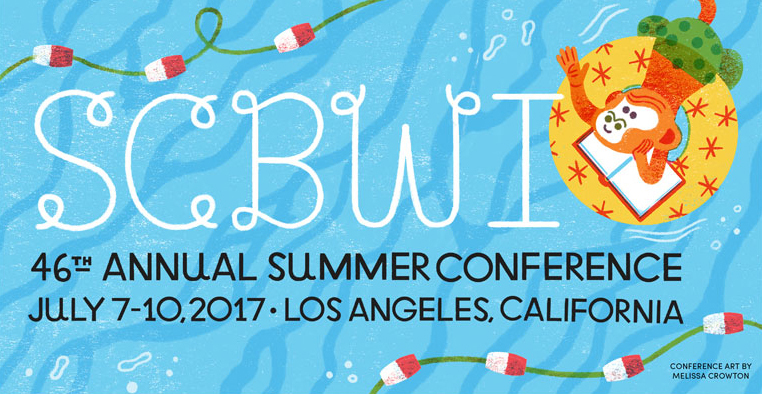 This time off allowed me to accept this opportunity at the SCBWI LA conference this July, which coincides with the VCFA residency this year. It’s only a semester, though, don’t be worried! I’ll be writing like the wind in the summer and fall and then back at VCFA at the January 2018 residency and teaching as usual the Winter/Spring 2018 semester.